- 20h00 we transfer to Hanoi railway station to catch a night train at 21h15 to Lao Cai - 8hr sleep on the train. - Trek down to Ylinh Ho then Lao Chai village of the black H’mong people. - After a picnic lunch, continue trekking to Ta Van village, visit the Dzay’s families. - With your tour guide and the house owners, we will set up a temporary cooking class to learn how to cook Vietnamese food for dinner. - Overnight at local house. - In the early morning you will be sure to be woken up by the households but lucky to see how is their daily life for a new day coming! Enjoy breakfast with some pancakes made by your tour guide’s skillful hands.You will say good bye to Black H'mong people and start a new trek with more stunning landscapes and other ethnic minority villages dotted as far as your eyes sigh. You will visit Giang Ta Chai village and see the red Dzao minority, an imagination of down tower steps with a universal view of the house roofs of ed Dzao minority isolated in a green valley appearing in front of your eyes will mark you an unforgettable trip. - Finally a Russian jeep to return you to Sa Pa, check in hotel. - At 8:00am, the guide and car will pick you up to Can Cau market. The road is relatively flat form Lao Cai to Bao Nhai bridge. After crossing the bridge, we begin our journey uphill offering beautiful views over the valleys. 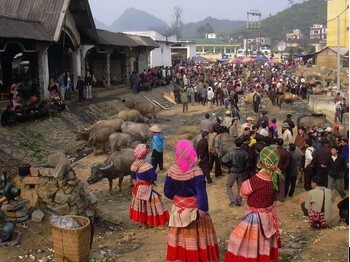 Situated 20km from Bac Ha, Can Cau is a small but very colorful market. Opening on Saturdays, it always delivers a very photogenic display of Flower Hmong, Black Dao, Phu La ethnic costumes. After spending the whole morning explore the market, you will leave the market for Bac Ha town for lunch. In the afternoon, we drive downhill towards Lao Cai for about half an hour. We stop on the way (before reaching Lao Cai) to take a short walk to Trung Do village inhabited by Tay people. Tay villages are always built at the foot of a mountain or along a stream and are named arcording to the name of a mountain, a field or a river. Each village contains about 15-20 households. A large village is divided into many small hamlets. The houses are built on stilts or lever with the ground. Stop by a traditional Tay house for a cup of tea before taking a boat cruise upstream Chay river. The scenery is very beautiful on the both sides of the river. The boat trip will end at Coc Ly where your vehicle will be waiting for you for the journey back to Lao Cai. End of tour. - 16h00 Drive back to Lao Cai for the night train to Hanoi at 21h15. Note: Can cau market opened only on Saturday. - Breakfast and accommodation sharing twin or double room in 3 star hotel. - Return train tickets: Hanoi - Lao Cai - Hanoi (Oriental Express 4 soft sleeper A/C cabin). 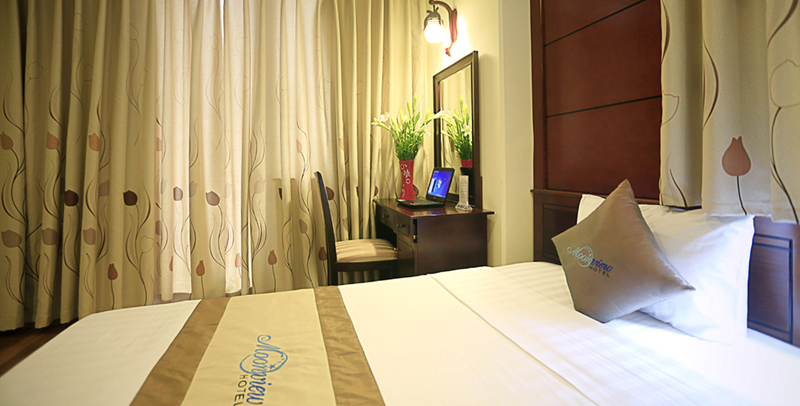 - Frenshen up service (shower in Sapa and Hanoi). - Lunches and dinners (as specified in the itinerary) in the local restaurants, or picnics where no suitable restaurant is available. - At 20h00, you will take a taxin from the hotel and then transfer you to go to Lao Cai station. Spend 08 hours to sleep overnight on train. Day 02: Sunday: Lao Cai - Bac Ha minority Market - Sapa. - 6h15: You will arrive at the last arrival station - Lao Cai station. You will enjoy breakfast before go to Bac Ha market. 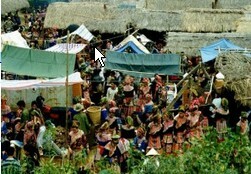 You will visit one of the most beautiful and colorful market of the local hill tribes. - 8h30: You will arrive Bac Ha, independently attend the market that known as the most colorful ethnic market of all Northwest Vietnam. It is a fusion of many different hill tribes inhabiting around Bac Ha mountain district and here you can easily distinguish them by their different colorful costume dressing. Attending the market, you will find out not only typical traditional costume but also the way of bartering trade existing in daily life of the Tay, the Dzay, the Red Dzao, the Black H’mong… Have a lunch. - 17h00 arrive in Sapa, check in hotel - free time to enjoy Sapa. - After breakfast, you will trek down to Y linh Ho and Lao Chai village of the black H’mong people. Enjoy lunch at local house. - After a picnic lunch, keep on alongside Muong Hoa stream, over suspension bridges to Ta Van village of the Dzay people. - A standby car to return to Sapa. Shower at the hotel and free time. Day 04: Arrive back to Hanoi. Arrive in Hanoi Station at around 5h30. You will take a taxi from the train station to the hotel. - Breakfast and accommodation sharing twin or double room in 03 star hotel. - Bac Ha Market: only on Sunday. - Coc Ly market: only on Tuesday. - Lung Khau Nhin Market: only Thursday. - Can Cau Market: only on Saturday. - The car and guide will pick you up at your hotel and transfer you for the overnight train to Lao Cai Station. Enjoy the experience the romance of overnight train travel. We will take 1hr bus ride uphill to the beautiful town of Sapa . The ride gives you a glimpse of the stunning vistas and impressive rice terraces. Upon arrival in Sapa Town we have breakfast in local restaurant and prepare for a great trek down to the picturesque valley of Muong Hoa . 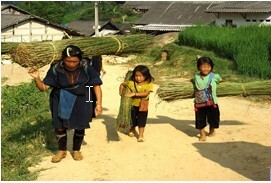 We will walk on small paths and trails to reach Lao Chai and Tavan Village to visit the Tay and Day tribes . Spend time interacting with ethnic people then our car will be ready to take you back to Sapa. Enjoy Vietnamese cuisine dinner. Sunrise breakfast in the hotel get ready for our next trek. You first sneak through the market and leave the busy town behind. After a couple of minutes, you will follow a road going down hill to Cat Cat village. You will stop by a waterfall and a hydroelectric station. Enjoy traditional music performance there with colorful culture. Take a rest here before you trek downhill to get Sin Chai village. Enjoy beautiful scenery on the way back to Sapa town for lunch. You will have free time to discover by yourself in the afternoon. 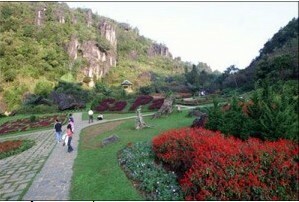 Today, you are free at leisure, to visit around the town of Sapa (Dragon mount, Orchid garden). Spend time walking around and shopping in the central market then back to hotel for freshen up before heading to train station. Arrive in Hanoi Station at around 5h30. Be picked up and transfer to hotel for freshen up and having breakfast (room available within 2 hours). - Morning: Free to discovery Sapa Market by yourselves. Check out hotel. - Afternoon: The car and guide will take you to go to Ta Phin village. On arrival, you will get to know the daily life styles, handicraft tradition and specific custom of the Red Dzao tribe, enjoy landscapes…then go straight to Lao cai town. You will have free time at Lao cai and enjoy dinner by your choice. Be relax until getting on the train to come back Hanoi. - Afternoon: Free at leisure to see the Sapa market. Dinner will be your choice. Be relax until our driver will come to take you to train station. Arrive in Hanoi Station at around 5h30. Be picked up and transfer to hotel for freshen up and breakfast. - Breakfast and homestay in the local house with cooking demonstration. - 1 night at Bamboo Sapa Hotel or equivalent. Combine the highlights of North Vietnam with this enjoyable trip. From Hanoi, travel overnight by train to reach Sapa, the delightful former French hill station situated in the mountainous region of Vietnam's northwest, near the Chinese border. The region is home to many ethnic minority groups, each wearing traditional and ornately decorated clothes. Trek valleys to discover several different hill tribes and spend a night in a village of the Red Dao community. We will take 1hr bus ride uphill to the beautiful town of Sapa. The ride gives you a glimpse of the stunning vistas and impressive rice terraces. Upon arrival in SapaTown we have breakfast in local restaurant and prepare for a great trek down hill to Cat Cat village. You will stop by a waterfall and a hydroelectric station. Enjoy traditional music performance there with colorful culture by your own. Take a rest here before you trek downhill to reach Lao Chai and TavanVillage to visit the Tay and Day tribes where we will have unique homestay experience among hill tribe people. Cooking demonstration with local people. Your overnight in the local house. Day 03: Ta Van - Giang Ta Chai - Lao Cai Station - Overnight train back to Hanoi (B, L). Once you get energy for your next day trek by having a delicious breakfast, you leave for Giang Ta Chai village of Red Dao minority. You will trek through bamboo forest which belongs to Hoang Lien National Park. On the way you will pass by a waterfall where you will have time to take a rest and enjoy surroundings. Back to Sapa and you will have free time to discover by yourself in the afternoon. Dinner is for your choice. Back to hotel for shower and then our car will transfer you to Lao Cai station for overnight train back to Hanoi. Arrive in Hanoi Station at around 5h30. Be picked up and transfer to hotel for freshen up and breakfast (room available within 2 hours).